Dubai World Trade Centre (DWTC) is on track to host 22 mega-trade events this month (March), attracting more than a quarter of a million visitors. A host of events spanning several sectors identified as important to Dubai’s diversification strategy, from ICT and healthcare to maritime and technology, will bring in 300,000 delegates, the entity estimates. “DWTC strives to enhance Dubai’s vision as an attractive city for businesses across the MENASA region,” said DWTC Senior Vice President – Venues, Ahmed Alkhaja. The region’s longstanding maritime luxury event, the 24th Dubai International Boat Show, kicked off a busy events month, taking place from March 1-5 at the Dubai International Marine Club. Attracting 800 exhibitors and nearly 28,000 visitors from more than 120 countries, the event has evolved in to a key pillar of Dubai’s event calendar. Several trade events also took place concurrently at the beginning of March (1-3), utilising new exhibition space at DWTC’s expanded Dubai International Convention & Exhibition Centre (DICEC) - Za’abeel 4, 5 and 6. Combined, Middle East Electricity, Paperworld Middle East, Playworld Middle East and Global Education Solutions Summit attracted approximately 38,000 visitors and more than 2,800 exhibitors. These events were followed by CABSAT, the leading platform for the broadcast, production, content delivery, digital media and satellite sectors across the Middle East, Africa and South Asia (MEASA) region (March 8-9). 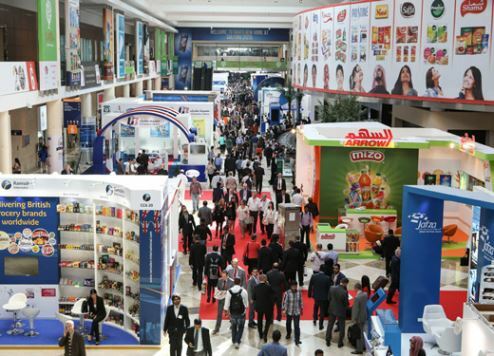 DWTC is also hosting the Dubai International Pharmaceuticals and Technologies Conference and Exhibition (DUPHAT) from March 15-17 and Arab Lab from March 20-23 and at the end of the month the popular GITEX Shopper Spring returns with a new spin-off event Shopper Smart Living, taking place from March 30 to April 2. Smart living is playing a pivotal role in the GCC construction industry leading to a positive home appliance industry forecast of nearly $1 billion over the next two years.